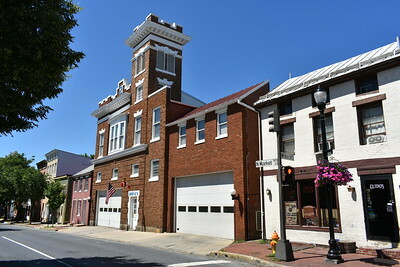 Junior Fire Company in Frederick, Maryland. 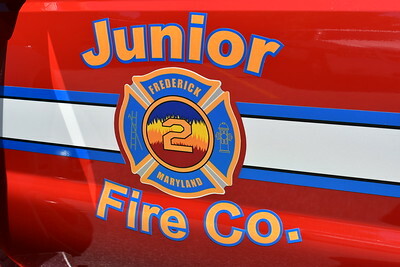 Junior's Engine 23 from Frederick, Maryland is this 2002 Pierce Dash 1250/1000 with Pierce job number 12860. 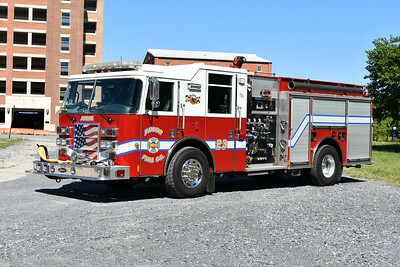 Squad 2 from the Junior FC in Frederick, Maryland is this 2004 Pierce Enforcer with Pierce job number 15349. Non-walk in rescue body. 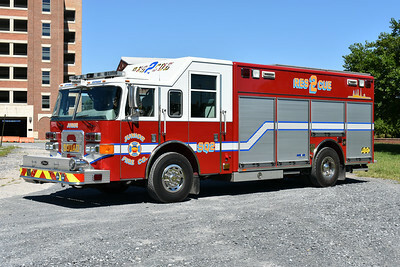 Squad 2 is cross staffed by the engine company. 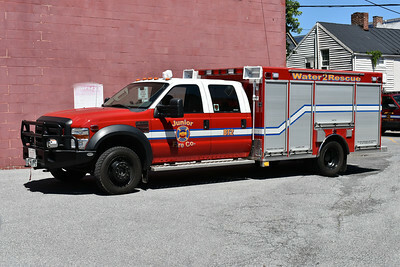 Junior's Boat Tender 2 is this 2007 Ford F550 4x4 with a 2009 Warner Bodies. 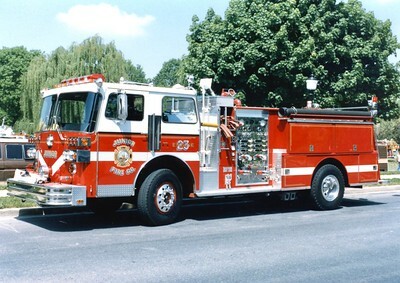 Former Engine 23 from Junior, a 1983 Sutphen, 1000/750. 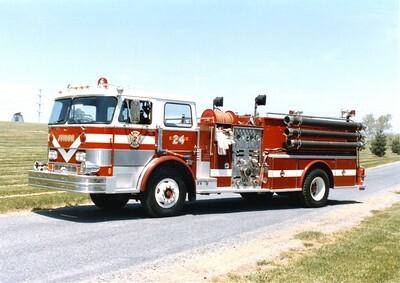 Engine 24 was a 1974 Hahn, 1250/1000. ex - Hockessin, Delaware. Sold in 1992.